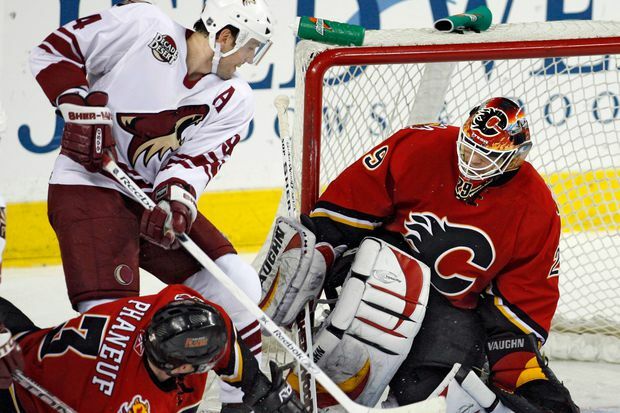 During a game in 2007, Flames goalie Jamie McLennan makes a save on the Coyotes' Yanic Perreault. “Every player, for the most part, can tell you their one story of where you trusted somebody and it kind of went south … You need to surround yourself with people that know what they’re doing and people that you trust,” he said. The NHL season started this week, bringing in a fresh crop of hockey stars who after years of gruelling training will start to reap the benefits of their hard work – in both profile and salary.